Jeweller software on show at JAA conference this weekend | A blog about smart POS software for independent small businesses. 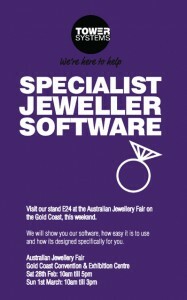 Tower Systems is showing its new jeweller software at the JAA conference on the Gold Coast this weekend. What is special about this is that Tower Systems exciting innovation to share with jewellers, innovation jewellers can tap into without having to pay extraordinary consulting fees monthly or annually. This is software hundreds of jewellers in Australia and New Zealand already love and use daily. Thanks to the active support of our jeweller community, the software is enhanced and even more valuable and useful. If you are at the JAA conference this weekend, stop by and say hello. We’d love to see you. Small and independent retailers love the new approach to loyalty on the Tower Systems POS software. At the Gift Fair in Sydney this week retailer after retailer was thrilled to see such a different yet highly manageable opportunity. While our discount voucher shopper loyalty facilities are not new to our POS software, they are new to many retailers who have only ever heard about points based systems as the way to approach loyalty. 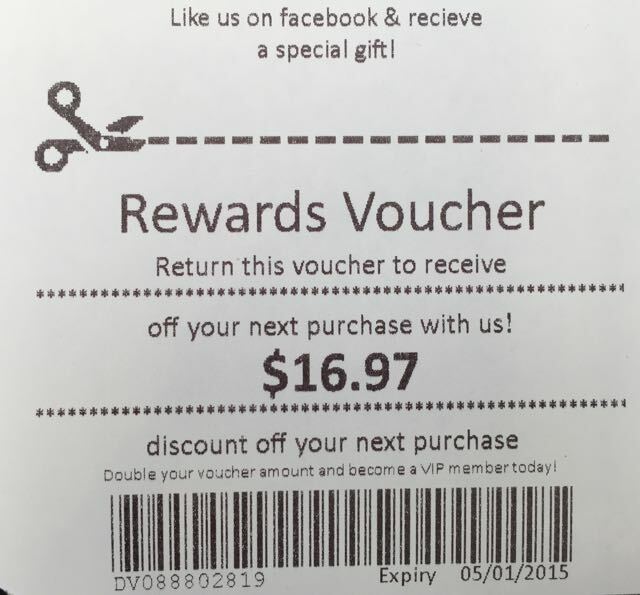 What is unique and valuable about the Tower Systems discount vouchers is the multiple data points at which the retailer can control the value of the voucher printed. The layering approach allows the retailer more control over value and redemption – thereby providing the business with more mechanisms through which to drive business performance. One retailer told us that they attribute their 10% year on year growth to our discount vouchers and that to achieve this they have given away just over 1% of GP. What makes the facilities even more valuable is the reporting showing shopper behaviour in detail. This helps guide data point tweaking to drive outcomes. Thanks to the trademarked Tower AdvantageTM, Tower Systems is delivering to retailers and unique and business valuable facility. Exclusivity has its own rewards. Firearms shop software specialist Tower Systems has started previewing its new Permit to Acquire facilities as part of its user engagement program in advance of setting beta release dates. Developed in consultation with firearms retailers and state-based regulators, these enhanced facilities will help firearms retailers more accurately and consistently work within the regulatory framework in Australia. Firearms shop software sees Tower Systems serve another specialist retail channel. It’s what the company does – helping retailers in specialist channels to more effectively use technology tailored for their needs. 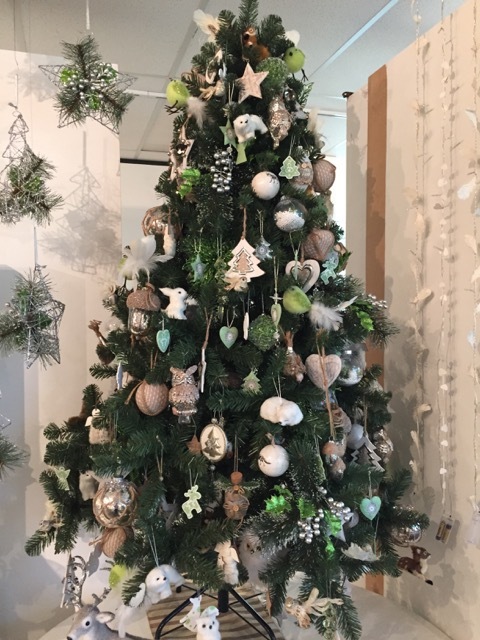 Small and independent retailers are using technology to plan now for a terrific Christmas 2015. Retailers using the Tower Systems POS software have been busy planning for Christmas 2015, using their software to order for Christmas which is nine months away using data from Christmas which was not even three months ago. At trade shows, supplier showrooms and conferences, smart reporting tools and computer tablet based real time access helps newsagents to use accurate data for business planning. This results in more accurate purchasing which, in turn, delivers more valuable financial benefits to the businesses. Tower Systems backs the tools in its software with free training and advice which helps retailers have easy access to the performance data they need. The result is a better outcome for those engaged businesses. This is another Tower AdvantageTM. Tower Systems is inviting newsagent suppliers to register to participate in one of two supplier round table discussions we are hosting in three weeks. We are keen for suppliers to participate in a discussion about the state of the newsagency channel and how they can help newsagents weather rough waters. The very latest newsagency sales trends by product category will be shared. Data points will include basket depth, basket mix, traffic counts, anticipated store closure rates, growth categories, factors newsagents are considering when contemplating closure. We decided to host the forum because of the spate of closures already this year and because of supplier representatives talking in negative terms about the channel. There are ways newsagents can grow. Suppliers can nurture optimism and guide newsagents through the difficult times. If you are concerned about the future of the newsagency channel, come along and participate. It’s free. Access to the round table is free. Any supplier rep is welcome to attend. Let’s make the newsagency channel stronger together! Melbourne. March 17, 9am. Best Western, Kew. Brisbane, March 19. 9am. River View Hotel, Kingsford. 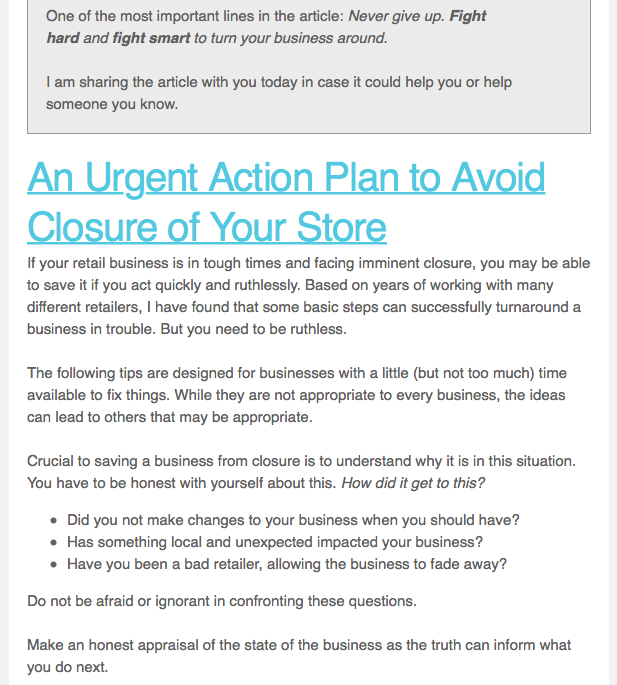 Tower Systems is proud to be offering practical advice and guidance for small business newsagents on how to confront the possibility of business closure. In a comprehensive article, Tower has shared advice on how to understand the challenges a newsagency faces today and offered steps on turning the business around and stepping back from the thought of closure. Going beyond what is usual advice you see from a POS software company, this advice from Tower Systems is practical and heartfelt as it seeks to help and support retail newsagents to navigate to a brighter, more sustainable, future. It’s another Tower AdvantageTM. Going beyond providing excellent software, Tower Systems helps any newsagent with insights and support at the local business level. Not only for the 1,850+ newsagents using the Tower newsagency software, this advice has been widely circulated to help more. 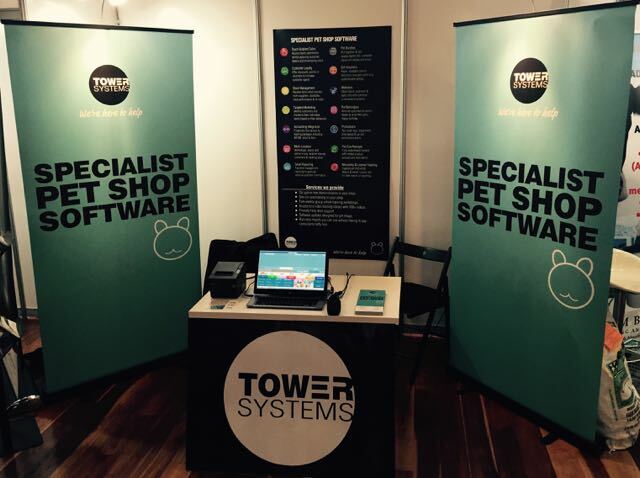 The Tower Systems pet shop software, already in use in more that 100 pet retailers, is on show today at the Indepet pet retail group trade show and conference – showing these engaged and energetic pet retailers the best practice approach to pet shop management. We are thrilled with our stand and the opportunity it is presenting to us and to pet retailers in the Indepet pet business group. Tower Systems serves Indepet retailers today with Australian developed and support specialist pet shop software and to bring to these are other pet retailers facilities for handling electronic invoices from suppliers and other integrated benefits. At the Indepet conference today we will be showing our latest pet shop software which includes some very cool features developed with leading pet retailers who are already customers of ours. We are grateful to Indepet for this opportunity. 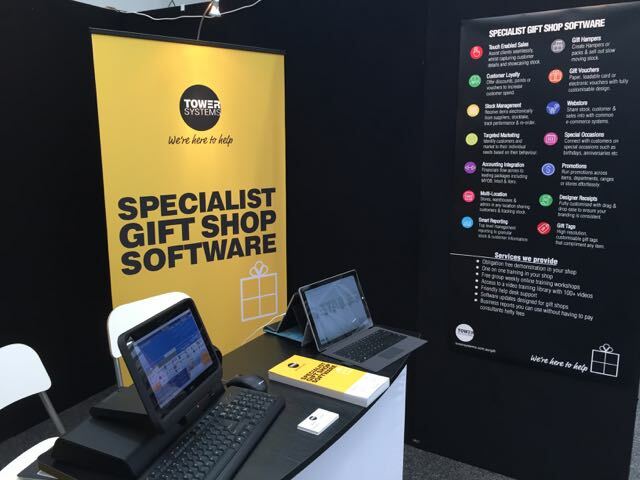 The Tower Systems Gift Shop Software has been a hit over the weekend at the Reed Gift Fair in Sydney. Our stand has been busy with plenty of prospects as well as visits from many existing customers. We have been keeping our pitch by rotating POS software sales experts from various offices of our company through the stand. We are especially thrilled for the diversity of businesses we have seen over the first three days. This fair not only attracts gifts shops, it attracts newsagents, jewellers, pet shops and garden centres – all retail channels for which we have specialist software. We are thrilled with the Gift Fair and grateful for another opportunity to connect with these proactive retailers. Too often retail businesses hand on to stock that is not working for too long, so long that it is losing money for the business. Today, we offer advice to retailers on how to suit non-performing stock. This advice is for any retailer, not just those using our Point of Sale software. Product is not working in a retail business if it is not paying its way – paying for the floor space it takes and the time you spend on it. Check your sales, rank all your stock based on sales – look at the bottom performing stock. Your software should have a ranked Sales Report that lets you list all your stock ranked by unit or $$ sales. Use this to create your list of items to consider. The other way to identify stock that’s not working for you is to check your back room or other storage facility. Stock that is not generating cash regularly has to be considered dead in our view. When do you quit a product? You quit, exit, products when they are not paying their way, when a season is done or when you want to exit that category for some other reason. To keep your shop fresh, to not be weighed down by dead stock to make your shop look more relevant, to stop hoarding. Here is how we quit stock in our corporate stores. Remember, these businesses are in shopping centres where space is limited and expensive. We are deliberately aggressive. Set a deadline. We’d suggest two weeks for quitting a product or range of products. Choose your timing. The best time to quit stock quickly is on your busiest trading days. For many this will be the weekend. Consider structuring your quitting program to run from Thursday through Sunday. Set your initial price. The discount must be compelling. We’d suggest 50% off. A smaller discount in this marketplace will not get noticed. Think about your discount words: in some areas, HALF PRICE works better than 50% OFF. Sometimes, 2 FOR 1 can be even more effective. A $$ price can work better – for example a dump bin with everything priced at $1. People then don’t have to work anything out. Move the product to a high traffic location. Display it as a line you are quitting – in a dump bin or in open boxes. This must be in a location away from where the product is usually located. Do not make an attractive display. Consider placing the stock somewhere that people almost stumble over it. Put up a sign that is either black on white or white on read. Nothing fancy. Even a hand written sign is good. Do not make a complex or attractive sign. Adjust your price. If sales are not strong enough, go harder with your discount. From 50% off we suggest a drop to a $$ price point. It can be challenging selling something you would have sold for $20.00 at $1 but that $1 is better than getting nothing for the product at all. Give it away. If the products are not selling, consider giving the stock away to a local charity. Getting it out of your shop for no compensation can be better than it taking space and giving off the wrong message about your business. Keep track of time. If you decide to be out of the stock within two weeks, stick to that and make it happen with your pricing and placement decisions. Use the bin. If you can’t sell the item and you can’t give it away, use the bin. An alternative: If you have a large amount of stock to quit, consider hiring a local hall and running an off site sale. Talk to your suppliers about getting extra stock in for this. You could even plan to do this as an annual event. Consider, too, linking with a local charity to drive interest and create a fund raising opportunity for them. Quitting stock takes strength and commitment. We urge you to do it to keep your business fresh. Product not selling gives shoppers a bad impression of your business. Take a look at your shop floor and in your back room. Look at what you can get rid of right away to reduce the anchor of dead stock on your business. This advice, like all our advice, is published to help any retailer make better decisions for their businesses. Wow! That’s our reaction to the first day of the Sydney Reed Gift Fair. It was a day of new sales leads, progressing current prospects and catching up with current customers. We are thrilled and grateful for the opportunity. Bring on the next four days! 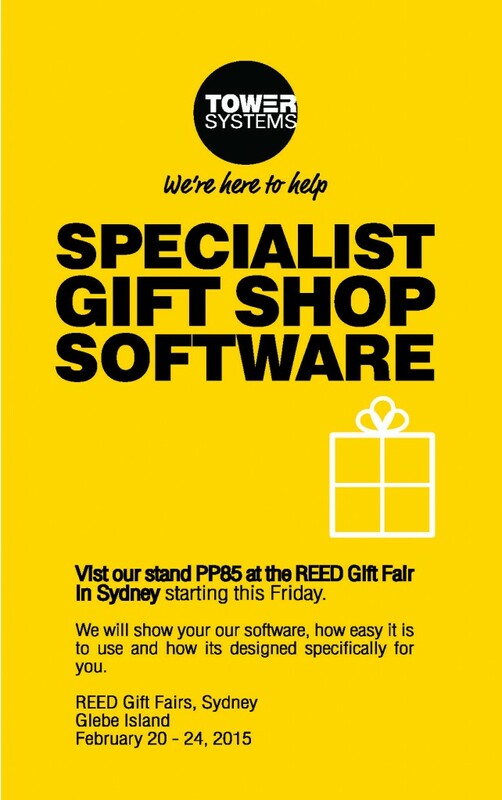 We are exhibiting at the Reed fair and are the only software company there with Australian designed and developed POS software, gift shop software. Our help desk is open in our head office offering an personal office based service. Our knowledge base is accessible for plain English searches. Our online video training library is accessible for training you can access from anywhere. Our after hours help desk numbers are live for 274/7 service from our expert team. Our senior management escalation team is on hand to handle any escalation issues. The help we will provide today, if it is like other Saturdays will include help with using the software, business advice, business performance analysis assistance and being a shoulder to lean on. Saturdays are busy. We like it that way. Small and independent retailers can achieve better outcomes from suppliers by holding them to account for the performance of the products they supply. Using the facilities in the smart POS software from Tower Systems, independent retailers can know for certain about supplier performance when meeting with a rep in-store. If a rep says hey this is selling well you can in a few seconds have accurate data with which to be certain. Too often, sales reps use puffery to talk up their products with little evidentiary backing. Thanks to our nurturing of accurate data for independent retailers we empower them to focus on facts and not puffery when purchasing from a supplier. Tower Systems backs the facilities in its software with advice and help for independent retailers – help way beyond the software itself. Quietly, earlier today, we launched a new website for our POS software company: http://www.towersystems.com.au. delivering a fresh face for our business and packed with new content, the website accurately represents us – what we do, what we stand for and how we make a difference. This is not just a re-skin, it’s a fresh sight including new content management facilities and a new e-commerce integration. The launch is the culmination of work from a team of dedicated, skilled and creative people we are proud to call colleagues. Gift shops are one retail channel where POS software company Tower Systems helps independent retailers to compete effectively and successfully with big businesses. Using the Tower gift shop software, gift retailers can rely on specialist software finely tuned to serve needs specific to gift shops. 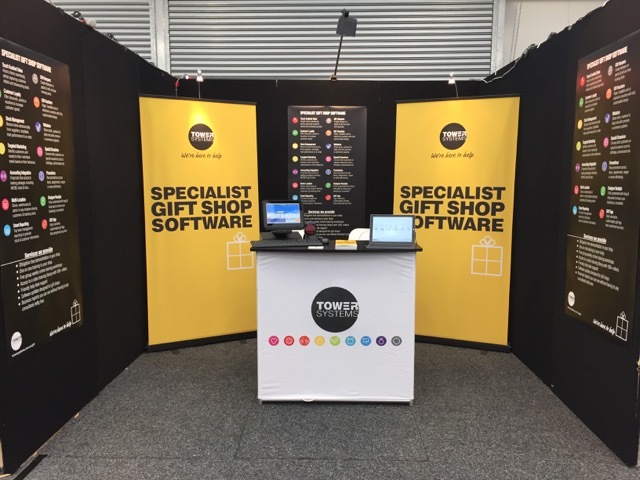 At the Gift Fair in Sydney starting tomorrow, Tower will be showing off new software evermore finely tuned for gift retailers. This new software offers enhanced facilities developed here in Australia for Australian needs. Small and independent retailers often feel overwhelmed by the size and power of big national retailers with which they compete. They feel they cannot match the might and power of their big competitors. Here at Tower Systems we help small and independent retailers to take a structured approach to competition. Thanks to facilities in our software, small retail business owners can show they businesses as competitive at key touch points without having to invest in expensive infrastructure. They can deliver personal service, add value and enhance relationships in ways that present their business as more connected and engaged than big competitors. The best way to approach feeling overwhelmed by anything is to take small steps to confront the challenge or challenges. This is where Tower Systems can help, even outside what is traditional software company. Through our years in business including years owning retail businesses, we have experiences on which to draw to help independent retailers to position themselves differently to competitors and thereby to grow. 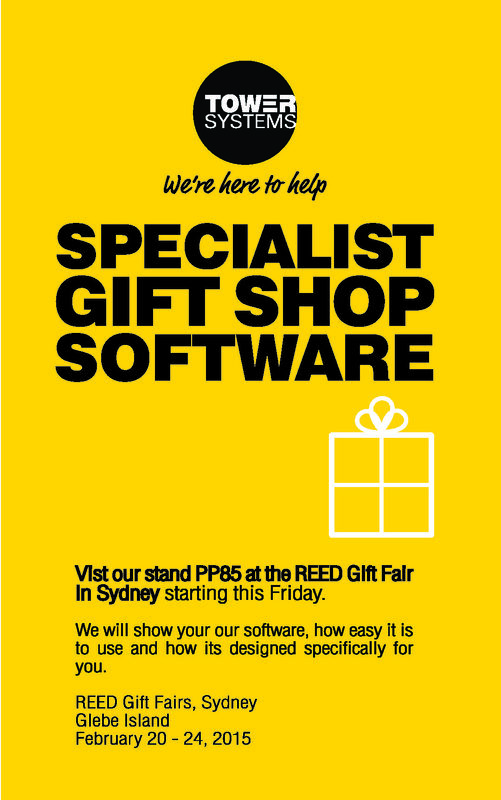 We are thrilled to be demonstrating our Our new gift shop software at Reed Gift Fair in Sydney starting in two days. POS software company by Tower Systems helps retailers who have been hit by theft with investigative services that meet the needs of police and prosecutors. Developed over years of work with law enforcement, our evidence gathering work can help provide certainty about theft perpetrator(s) and the possibility of conviction. Better still, our work helps retailers prevent theft by employees and customers. This is where real savings can be made by retailers – in reducing theft. People can be clever in their approach to stealing from retailers. Techniques used change. This is where our specialist services can and do help. Tower Systems helps retailers in many ways. Our theft reduction work is particularly valuable. POS software company Tower Systems delivers free learning opportunities to retailers and retail business employees using its Point of Sale software with a continuous program of free online live training workshops – covering topics often suggested by customers. The regular availability of quality and interactive training is a genuine point of difference for Tower Systems. It is the company delivering on its promises and living up to its sales pitch. When we promise something to our customers we deliver said Tower Systems Managing Director Mark Fletcher. We see companies saying they offer regular training yet you can’t find it listed anywhere, not even their customers know about it. Here at Tower, we know that actions speak louder than words. The company’s online live training workshop schedule is listed on its website and regularly promoted to customers. Access is 100% free is Tower funding the platform including the phone call for voice access. We often see small business retailers focus on grand plans, big moves they intend to make to lift their business. Our experience is that many small steps deliver a better result to a retail business and for a lower cost. Using our retail management software, retailers are able to uncover and nurture small steps to growth in their business. Every retail business has small steps they can take to drive traffic, achieve a better margin from products, get shoppers purchasing more, reducing wastage, reducing theft and more. Each of these alone done in a step step strategic way will compound on the other and deliver a greater than the sum of the parts benefit to the business. Beyond its terrific POS software, Tower Systems helps retailers to see what they may be missing, to understand the opportunities for growth through a small steps strategy. Leveraging our own retail experience and our intimate knowledge of what our software cal do, we can help retailers to lift their businesses through co-operative partnership. Not all POS software companies are the sale. We’re here to help. 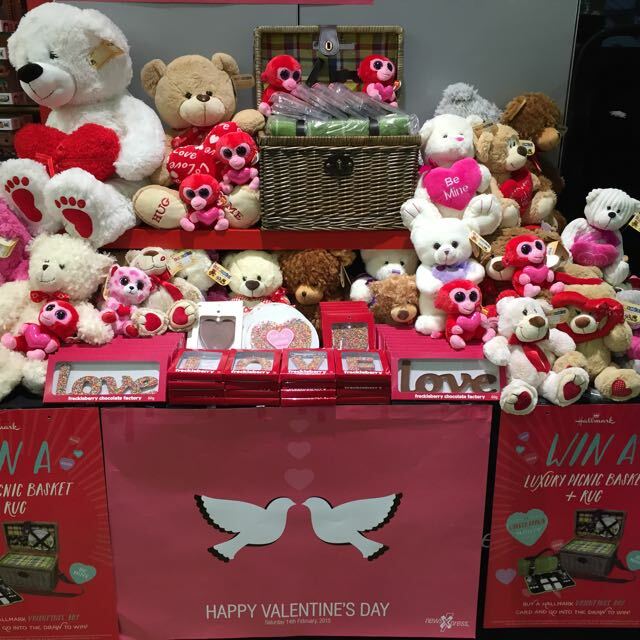 POS software company Tower Systems is helping newsagents and card and gift shops to make the most of Valentine’s Day with terrific facilities for putting items together into a pack and selling that as a whole and usually at a deal price for the shopper. 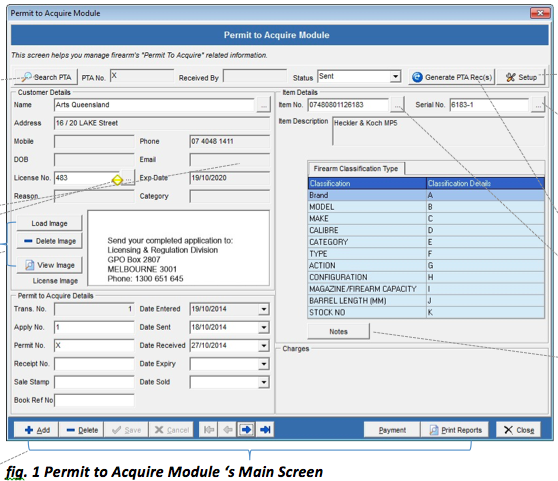 The ability to make packs / hampers / package deals has been in the Tower systems software for many years. It is also used in Jeweller businesses, bike shops, pet shops and garden centres. Retailers love it because it maintains excellent stock control throughout. Retail staff love it because it makes selling easy. Shoppers love it because of the ease with which they can usually get a deal. This facility is another way Tower Systems helps independent retailers to grow their businesses. Newsagency software company is successfully helping newsagents grow magazine sales. While the latest magazine audit results are challenging for magazine publishers and many retailers, newsagents using the Tower software and engaging in our marketing and basket growth tools are likely to be trading against trend and growing sales. Recent sales results show newsagents can grow magazine sales in highly competitive situations against supermarkets and other newsagents. Tower Systems helps newsagents with strategies, opportunities and insights. We analyse performance for newsagents and provide advice. This is backed with exclusive facilities in the software which help newsagents to increase magazine purchases in-store. We have included a nod to Valentine’s Day with the breakfast on offer at our POS Software co. head office this morning. 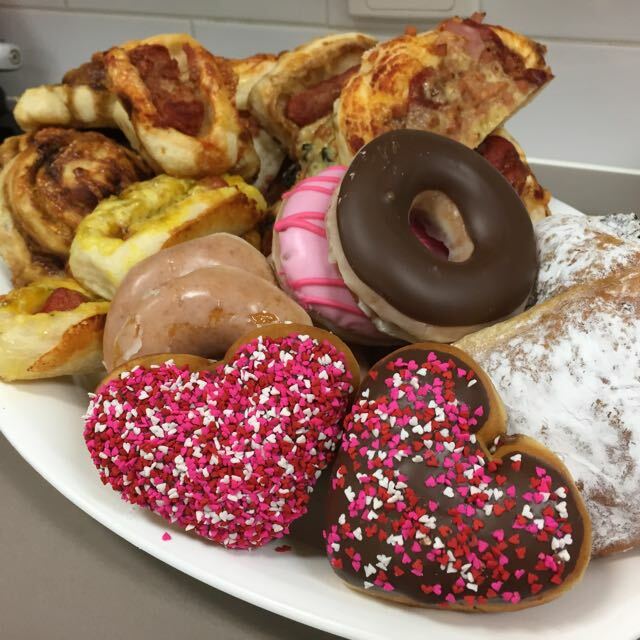 The heart shaped donuts are a bit of fun for Valentine’s Day tomorrow, a retail season important to many of our customers. Every day here at Tower Systems the love flows as we develop and support software that helps independent retailers run better and more enjoyable businesses. We love what we do. If you are comparing POS software for your business, ask the companies you are considering to agree for each of the software packages to be compared in the same room at the same time function by function. There is no better way to see which system is faster easier to use and more suited to your specific needs than such a comparison. Companies that are confident in their software will welcome such a comparison. Companies with something to hide will say no. They will claim they don;t want to risk a competitor seeing what they do but that would be a smokescreen to divert you from the real issue. here at Tower systems we welcome head to head comparison. We are proud of our software. Tower Systems is thrilled to welcome more Plants Plus retailers to our garden centre software user community. Using our specialist software, Plants Plus retailers can expect to increase sales, drive shopper engagement and know more about their businesses. We continue to evolve the software to serve Plants Plus retailers with more facilities and assistance. With over 30 years of experience, here at Plants Plus, we know all you need to know about your garden and can offer the advice, inspiration, products and service to satisfy every gardeners needs. Whether you are looking for the latest in green life, want to create your own tranquil or modern outdoor room, need to give your garden an environmentally friendly makeover or just simply need some advice, no matter how easy or complicated the question, our staff have all the knowledge and expertise to make your garden flourish! We have over 70 stores across NSW, QLD, SA, TAS, VIC &WA. Click here to find your nearest store. We appreciate our growing community of Plants Plus stores.